Do you experience tired, sore, or achy muscles throughout the day? Are you recovering from an injury or surgical procedure? Do you have a condition that brings pain to your bones or joints? Whatever the case may be, a physical therapist can create a personalized treatment program for you, to help increase your energy and help you get back on track to enjoying your daily activities. Call Applied Physical Medicine for information to see how physical therapy can help you achieve better overall health and greater physical fitness. The tips below are easy ways you can get moving and help increase your physical health! Many physical therapy treatment programs are aimed at increasing your muscle and joint flexibility. Your physical therapist can help you work through a variety of stretching techniques, and he or she may also use heat therapy to loosen tight muscles and tendons. Your physical therapist may also suggest massage or breathing techniques to increase relaxation and flexibility. 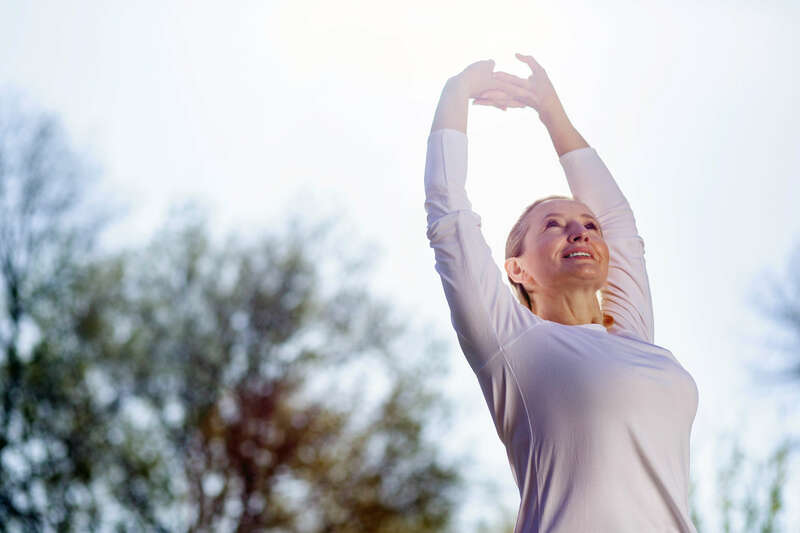 Balance typically decreases with age as bones start to become more brittle, and there are also health conditions that could affect your balance. Improving your balance can help you avoid trips and falls that could potentially lead to a serious injury. Additionally, it can improve your ability to engage in and enjoy more strenuous activities that you may not have been able to do in the past. A physical therapist can provide you with several different types of exercises to improve your balance, whether you’re standing, walking, or engaging in an exercise regimen. Physical therapy helps you recover quickly from injuries, but what most people don’t know is that it can actually help in avoiding injury altogether. Your physical therapist can teach you several different exercises you can do at home and before you engage in physical activity in order to help prevent injury. If you’re recovering from a surgical procedure, your physical therapist can also help you learn to walk and move in new ways that will help you stay active while reducing the chance of falls and injury during your recovery. 4. Try to avoid surgery. With surgery, you always run the risk of blood clots, infection, and a lengthy recovery time. In many cases, physical therapy can correct a problem without the need for surgery at all. Sprains, strains, dislocations, tendonitis, bursitis, arthritis, and acute/chronic pain are just a few of the many ailments that a physical therapist can help you with. Physical therapy works in helping your body speed up its natural healing process, and while surgery is sometimes unavoidable, it’s almost always better to eliminate the need for an invasive procedure if the problem can be treated with physical therapy. If you’ve already had surgery, or if you have suffered from an injury, a physical therapy program can be created to assist in your recovery. 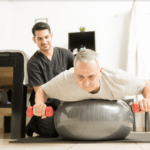 Your physical therapist will put together a rehabilitation program that specifically addresses your needs, focusing on helping you recover as quickly as possible. This may include strength and range of motion exercises, in addition to any specialized treatments that your physical therapist deems fit. Even if you’re already in good health and involved in a variety of activities, physical therapy can still be beneficial to you. Your physical therapist can help you enhance your performance and give you advice on certain forms and techniques. If you are looking to get back into the activities you love, your physical therapist can help you achieve that. You will work together to create a treatment plan that will help you reach your goals, and he or she will assist you in increasing your strength, endurance, and flexibility. Whether it’s preventative physical therapy, rehab, or therapy to improve your ability to walk and enjoy daily activities, a trained physical therapist can help you achieve your physical fitness goals. After your evaluation, your physical therapist will put together a treatment plan based on your needs, and he or she will encourage you during every step of your journey toward physical health. Call our Tucson, AZ office today to schedule a consultation and get started on your path toward a healthier and happier life!